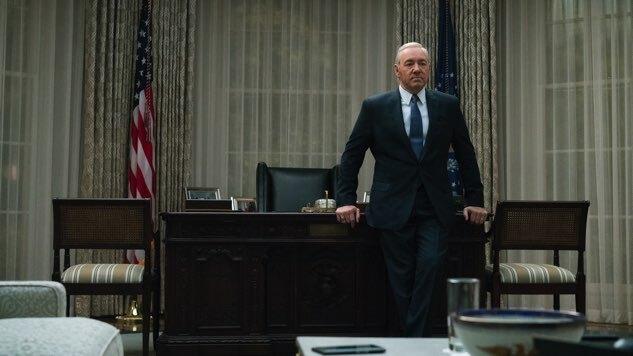 Netflix’s House of Cards is no more. The political drama series, starring Kevin Spacey as fictional politician Frank Underwood, will end after its forthcoming sixth season, as Variety first reported. Production began in Maryland this month on what will now be the final season of the series, set to stream sometime in 2018. The collapse of House of Cards comes in the immediate aftermath of sexual misconduct allegations leveled against the show’s star, Spacey. Star Trek: Discovery actor Anthony Rapp revealed to BuzzFeed Sunday that Spacey made “an unwanted and unwarranted sexual advance” toward him during a party at Spacey’s apartment that Rapp attended when he was just 14 years old. “He was trying to seduce me,” Rapp recalled. “I don’t know if I would have used that language. But I was aware that he was trying to get with me sexually.” Spacey responded to Rapp’s account via Twitter, denying any recollection of the encounter and apologizing to Rapp before then coming out: “I choose now to live as a gay man,” he wrote. Spacey’s statement, included below, infuriated many who condemned the actor for halfheartedly apologizing to his alleged victim before coming out as gay in the same metaphorical breath. Vanity Fair’s Richard Lawson nailed Spacey’s statement to the wall in a series of tweets—one of which is included below—while Billy on the Street and American Horror Story: Cult star Billy Eichner kept his censure brief and to the point. That Kevin Spacey statement. Nope. Absolutely not. Nope. GLAAD also signal-boosted a statement shared by Star Trek actor Zachary Quinto, in which Quinto condemned Spacey’s “troubling” and “calculated manipulation to deflect attention” from the allegations made against him by Rapp. “May Anthony Rapp’s voice be the one which is amplified here,” Quinto wrote. Shortly after Spacey made his statement, Rapp responded with a brief series of tweets, acknowledging “the many courageous women and men who have been speaking out” as part of the #MeToo movement and beyond. “Everything I wanted to say about my experience is in that article, and I have no further comment about it at this time,” the actor concluded. Everything I wanted to say about my experience is in that article, and I have no further comment about it at this time. “I’m feeling really awake to the moment that we’re living in, and I’m hopeful that this can make a difference,” he said. Media Rights Capital and Netflix are deeply troubled by last night’s news concerning Kevin Spacey. In response to last night’s revelations, executives from both of our companies arrived in Baltimore this afternoon to meet with our cast and crew to ensure that they continue to feel safe and supported. As previously scheduled, Kevin Spacey is not working on set at this time. Per Deadline, there is also a chance that Netflix will do away with the Spacey-starring film Gore, in which the actor was to portray author Gore Vidal.